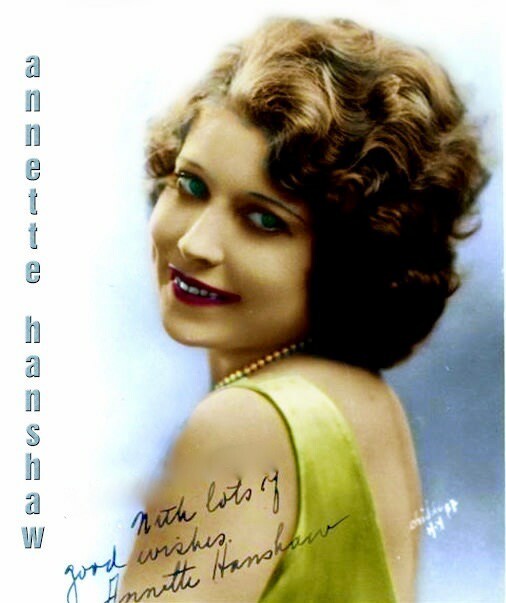 In 1926 Annette Hanshaw had an audition for Pathe records in which she created two recordings - a pair of 3 song medleys using popular tunes from 1925 and 1926. She was soon a record star and this first test recording fell into obscurity. Here is a chance to once again listen to these recordings - to hear her just before she emerged onto the public scene. 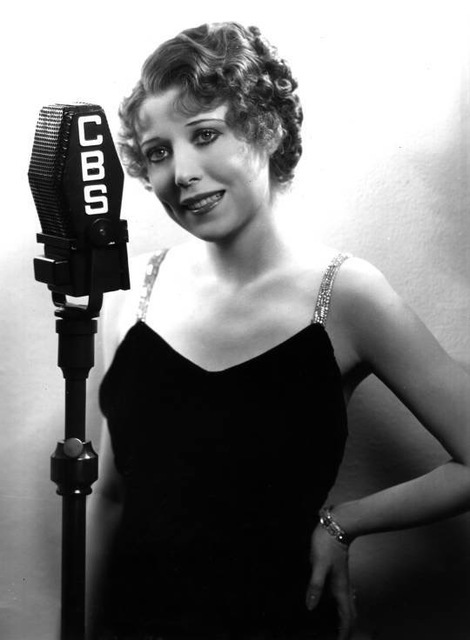 Annette Hanshaw sings "If You Want the Rainbow (You Must Have the Rain) recorded in New York City on October 19, 1928. Released on Columbia Records' labels Diva 2766G and Harmony 966H. It's so nice having you stop by for coffee! Catherine Annette Hanshaw was born in New York in 1901. "Lovable and Sweet" was more than just a song where Annette was concerned - she lived her life that way. Her manager, Herman "Wally" Rose always had the best talent available to accompany Annette - Jack Teagarden, Morton Downey, Miff Mole, Eddie Lang, Joe Venute, Phil Napolean, Red Nichols, Adrian Rollini, Benny Goodman, Jimmy and Tommy Dorsey - the A list of jazz musicians. In 1929, Annette and Wally were married and remained so until his death in 1954. To increase market share, her songs were released under the names Patsy Young, Dot Dare, Gay Ellis, Marion Lee, Betty Lloyd, Janet Shaw, Frances Hopwood, Ethel Bingham and Leila Sanford-but trade publications revealed the various names to the public so everyone knew who the real artist was. She appeared on the Camel Caravan, Maxwell House Showboat, Van Heusen Hour, and Rexall Magic Magic Hour to name but a few. She was the Personality Girl with her trademark "That's All" at the end of most of her recordings. The New York Times called her one of the most prolific recording artists of the 20s-30s. Although she was elected America's most popular female singer in a nationwide Radioland poll, she is all but unknown today. Radio Stars, Oct. 1934. Dress designed by Gladys Parker. A contest was held for this dress; a fan had to write Hanshaw a letter telling which dress they wanted and why in 75 words or less. "That's You Baby was recorded by Annette Hanshaw April 5, 1929 - one of her rare recordings for the main Columbia label. Most of her recordings were for the Pathe Actuelle label where her manager, and later husband, Wally Rose was an executive. Annette's music was also widely distributed on the smaller Columbia labels such as Diva, Harmony, Clarion, etc. That's You Baby and Ain't Cha are the two recordings that established Annette as "The" Flapper Girl of the late 20s and early 30s." Annette Hanshaw sings "Ain't Cha", recorded in New York on November 27, 1929, released on labels Harmony 1075-H and Paramount Publix SR1069P. Annette is in her role as "girl big band singer" accompanied by Ben Selvin and His Orchestra probably consisting of Red Nichols t, Glenn Miller tb, Jimmy Dorsey cl, Jack Hansen bb, George Beebe d, Irving Brodsky p, Tommy Felline bj, PeeWee Russell cl, and Fud Livingston as, with Ben Selvin dir. The music was composed by Mack Gordon and Max Rich. According to music historians, Ain't Cha was featured in a Paramount film and the Paramount Publix label editions were sold only in theaters at the time the film was being exhibited. The Japanese Sandman was recorded March 1928 in New York City on the Pathe and Perfect labels. Annette provides a short vocal refrain for Willard Robison's Deep River Orchestra. 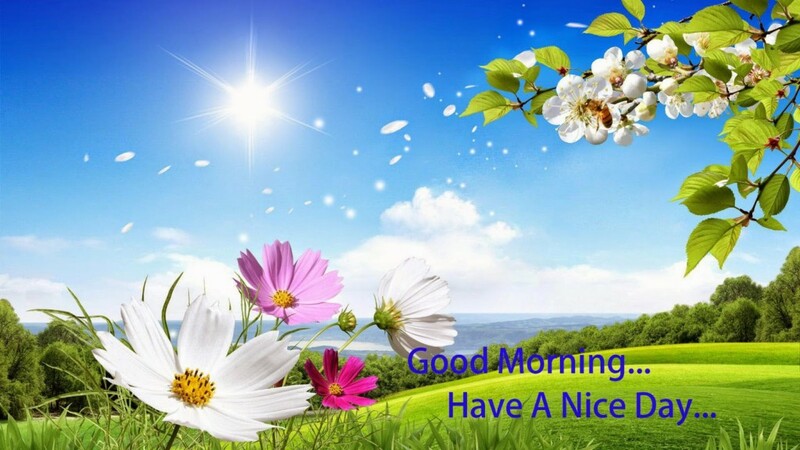 just an old second hand man trading new days for old." By Photographer credited as Jackson. Ensemble designed by Gladys Parker. Hugs and Kisses. Annette, "That's All." This week’s Snapshot in Prose captures Cladrite Radio Sweetheart Annette Hanshaw at the height of her fame. The year is 1935, and she’s already sold more than 4,000,000 records, has declined stage and screen offers, and claims to be mulling over the marketing of her personal method for reading music without any training. Alas, just two or three years later, she’ll give up recording and performing altogether, opting instead for a sedate married life with her husband, Pathé Records executive Herman “Wally” Rose. And just FYI, Hanshaw’s nephew, one Frank W. Hanshaw III, says that her birth certificate says she was entered the world not in 1910, as the story below claims, but in 1901. Oh Annette, you deceitful minx! DO YOU KNOW that the best known and highest paid artists on the air never studied music in their lives and wouldn’t know a cadenza from a condenser? ‘S a fact! If you studied the lives of Bing Crosby, Kate Smith and Annette Hanshaw with a microscope, you’d find that their music educations have been sadly neglected. Do you think they worry over the fact that their technical knowledge of music is so limited? No, and you wouldn’t either if you had their incomes. Their stories only go to prove that you don’t have to have special privileges to get places in radio, singing, music. And the same thing is probably true in every other field of endeavor. Let’s take the career of Annette Hanshaw, for instance. She was born in New York City in 1910. Her father instilled in her a natural love of music and she believes she could sing before she could speak. Anyhow, she was able to sing the choruses of 16 popular ditties of the day before she was 16 months old, and she’s added at least a song a month to her repertoire ever since. Annette liked to sing always. 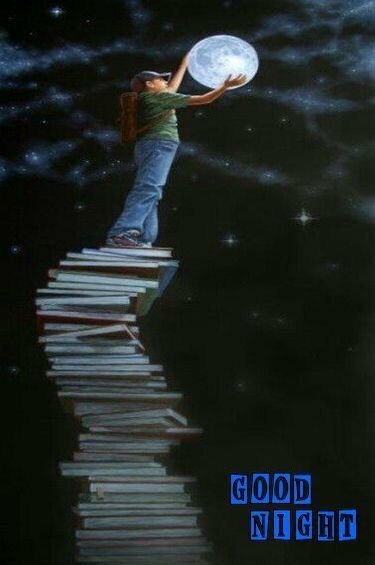 Most of us are the same way. She surely had a natural flair for singing but since it was so effortless for her she never dreamed that some day it would pay substantial dividends. She thought a career necessarily meant hard work, so she ploughed through school and took various courses, specializing in portrait painting. She aspired to be a commercial artist. She entered the National Academy of Design in New York and showed remarkable promise. She went to parties often during the days when she was a popular young debutante and it was at one of these gatherings that an executive for a record company heard her warbling in her own, carefree way. He listened while she sang song after song to rounds of applause and many encores. At the end of the evening he handed her his card and suggested that she call at his office. More as a lark than anything else she made a voice test at the recording executive’s request. She was having loads of fun and enjoyed it immensely when they put her in front of an orchestra while the wax disc whirled. She had had such a good time that she was almost ashamed to accept the check they handed her. All of this took place less than seven years ago and since then her phonograph recordings have sold more than 4,000,000 copies, and she has managed to lose all hesitancy about accepting checks. Throughout this entire procedure—and even today—she never read a note of music. She couldn’t. What she could and did do, though, was thoroughly memorize and cue every song she sang. Although she has had many stage and screen offers, Annette has consistently refused to accept any of them because she wants to concentrate on her radio broadcasting and phonograph recording. 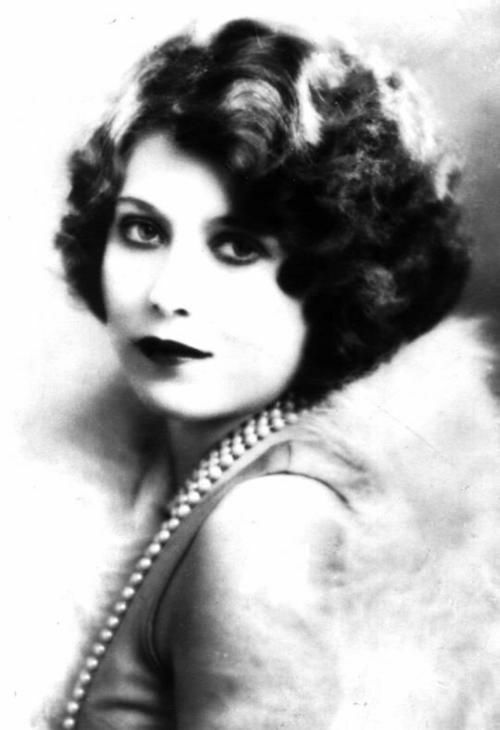 She once even refused an offer from the great Florenz Ziegfeld, himself. She rehearses in the evening, drinks lots of water before and during broadcasts, dictates all replies to her fan mail herself and scrupulously autographs all pictures herself. Someday she may patent her method of reading music. Annette says it is really very simple and anyone ought to be able to learn the system in ten easy lessons. Have you ever seen a Dream Walking? I have to have You 11-27-1929 w/ the Ben Selvin Orch. Cooking Breakfast for the One I Love 2-25-1930 w/ the Sam Lanin Orch. Susie's Fella - (1927) Hot!!! The Charleston Dance (1925) Hot!!! "Hot, Lovable, and Sweet: Annette Hanshaw was one of the very first female jazz vocalists, as well as one of the most exciting singers, and recording stars, of the 1920s and early 30s. Critic Will Friedwald, who has written extensively (and most in sightfully) on jazz singing, ranks her alongside Al Bowlly as one of the few artists that “used the musical idiom of the twenties in a creative, modern way” (1). Although I believe that there were more singers other than these two that also experimented with more modern approaches to the vocal art in that era, Friedwald is certainly right concerning Hanshaw: she was well ahead of her time in that she understood the rhythmic qualities of jazz much better than most of her contemporaries and applied them to her singing in a very personal, highly inventive way. From today’s standpoint, there is no doubt that her records sound more modern and engaging than those of Helen Kane or Ruth Etting. Born into a wealthy family in 1901 (although for many years the date was believed to be 1910), Hanshaw got her start performing at her father’s hotels. On a certain night in 1926, producer Herman “Wally” Rose (whom she would later marry) happened to be among the audience and was quick to realize her potential, subsequently signing her to a contract with Pathé. These were the years of the recording boom, when large amounts of records were produced and sold worldwide, and so Hanshaw recorded extensively, soon becoming one of the most popular artists on the label and gaining more public exposure through a series of radio spots. 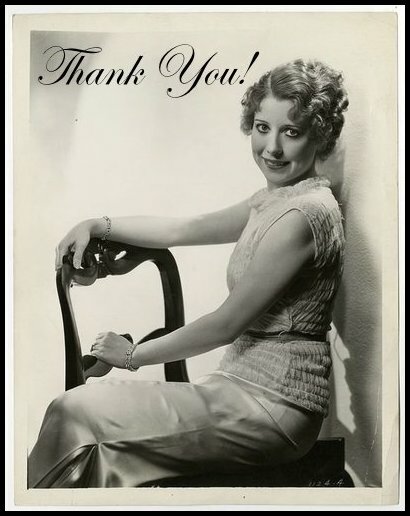 It did not take her long to graduate to one of the major labels, Columbia, who also put out the records of Ruth Etting, at the time one of the most popular singing stars in the country. Columbia issued Hanshaw’s efforts on subsidiary budget labels in order to prevent any kind of conflict between the two singers, but this did not affect her record sales, and even in the years following the 1929 stock market crash, Hanshaw still proved to be extremely popular with record buyers. But despite the success of her records, Hanshaw apparently dreaded public appearances and did not exploit her image as the quintessential 1920s flapper in movies. After her marriage to Rose in 1934, she decided to put an end to her very popular radio show and stopped recording altogether around 1938. 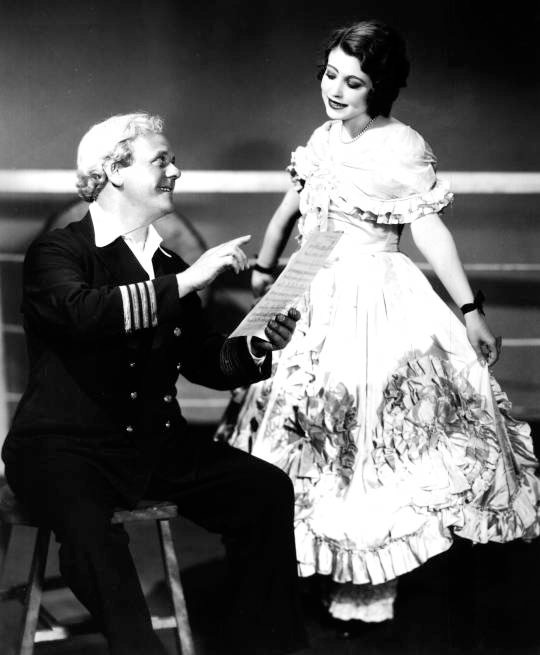 Video clip from "Captain Henry's Showboat" (1933) with Annette Hanshaw singing "We Just Couldn't Say Goodbye". This is Annette's only appearance on film. Hanshaw would live to see her records reissued in the 1970s, when she was certainly surprised to find out that there was a kind of renewed interest in her recorded output. Unfortunately, unlike other stars from the twenties such as Nick Lucas, she never really attempted to make a comeback. Her husband had passed away in 1954, and in 1975 she remarried; nobody seems to have advised her that it would have been a good idea to get back into the recording studio, and if anyone did, she did not listen. "Catherine Annette Hanshaw was born in Manhattan on 18 October, 1901 and died on 13 March, 1985. In the years from 1926 to 1937 she was a top radio and recording star, but more than a little reluctantly, retiring at the height of her career. That career was, I believe, a love story. From her earliest years Annette loved to sing and was encouraged to do so by her parents. They were basically hoteliers and their sweetly pretty daughter was often co-opted to sing at parties for their guests. But, although she taught herself to play the piano and the ukulele she had no thought for a singing career. Her natural nervousness did not seem to fit her for show business and, despite being offered two music scholarships she opted for studying art. 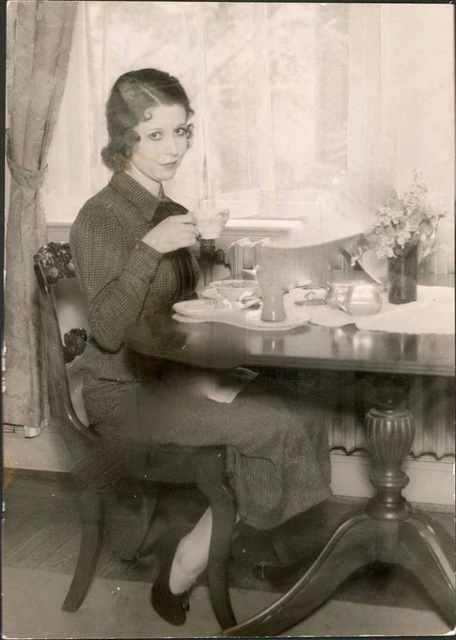 Her father set her up in a record shop, “The Melody Shop” and she seems to have been quite contented until at one of his parties in 1926 she met a man called Herman (Wally) Rose and fell in love with him. I have a vague memory of Annette telling me that Herman Rose was not his original name and also that “Wally” was short for Waldemar. He was an Artist and Repertoire Manager for Pathé Records and was so impressed that he asked Annette to audition to make records. Had he been anyone else she would probably have turned him down but, thankfully, she agreed and on 28 July, 1926 made a self accompanied test record at the Compo studio. When she had finished singing, not knowing what to do, she announced “That’s All”. The shrewd Wally spotted a gimmick and had her, somewhat against her wishes, sign off most of her issued records with that phrase. He also took 10 years off her age. It sounds outrageous but if one views the only extant piece of film of her made in the early 1930‘s when she was about 30 years old, she could easily pass for 20. Wally Rose was certainly a jazz lover (in 1932 he was responsible for making The Rhythm Makers sessions widely regarded as among the hottest of all jazz records) and had already made the first recordings by Red Nichols and the Red Heads, using them also as a backing group for several of his artists such as Cliff “Ukulele Ike” Edwards, Jay C. Flippen (whose record closing gimmick line was “Turn me over!”) and Lee Morse. Now he used them to accompany Annette on her first Pathé session. The results showed that she, more than most girl singers of the time, was at her best with jazz flavored backings. Soon Wally had become her manager and on 12 June 1929 he also became her husband. In the meantime the old Pathé company had been swallowed up by Columbia Records (who would in turn, be swallowed up by ARC). Wally and Annette moved on to Columbia along with Cliff Edwards and Lee Morse and in 1932 Annette and Cliff both went to ARC. But, since 1926 Annette had been doing whatever manager Wally had thought best for her career and this included providing the vocal refrains for some of Pathé’s, and later Columbia’s dance band records. Few dance bands of that era had girl singers. It was not until Paul Whiteman hired Mildred Bailey in 1931 that female vocalists became an essential part of any successful band. The 24 sides that Annette made as a dance band singer are quite a mixed bag. The first three find her romping along very happily with The Original Memphis Five. The next couple are amongst her best recordings. She’s obviously very happy in the company of the Four Instrumental Stars, who swing mightily with Annette riding the rhythm with ease. Many years later, in one of our phone conversations she mentioned that she always loved working with guitarist Eddie Lang. “Great Musician and a great gentleman” was how she described him. 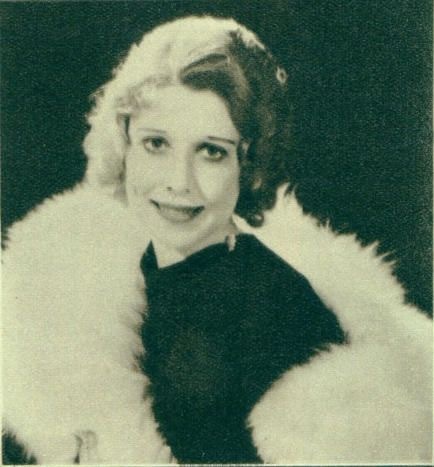 She also admired, though was slightly scared of, Tommy Dorsey (who referred to her as “a musicians singer” – a compliment that she treasured) and among singers she singled out Ethel Waters and Connie Boswell (she wasn’t that interested in “The Boswell Sisters”, just Connie as a soloist) and thought that Lee Morse had “something different”. Following the Four Instrumental Stars come 2 sessions of 4 titles each with the studio orchestra of Lou Gold. Gold made hundreds of sides with a very competent, but usually rather dull band, using what were probably “stock” arrangements and rarely featuring any interesting soloists. However it’s nice to hear how Annette handles the varied songs, giving each an individual reading. "I had the great pleasure of knowing Annette Hanshaw since 1959 when having been captivated beyond hope of release by some of her records the previous year, I decided to meet her if it were at all possible. So I went to New York that June, and met this shy being whose reluctance to delve into her recording achievements has since become well known. Gradually, I persuaded her to discuss her life in show business, which she had put behind her more than two decades before we met and found that here was a source of valuable information and more, much more, here was a delightful companion who, having promised to see me and help me research as much as she could, would not go back on her word. Over the years we kept in touch by letter, and I kept hoping that various projects to record Annette again would become real. Then, little by little, I sensed that things were not as well with her as they should be. I kept hearing from other sources that she had had several stays in hospital, and the chances of a new Annette LP faded away. I helped David Tarnow of CBC in his tribute to her, broadcast on March 4 and 5, 1984, in a letter to me three weeks later, Annette said she had still not heard it, adding that a famous Canadian artist from Ottawa wanted to paint her portrait. The highest compliment to Annette Hanshaw was paid by no less a perfectionist than Tommy Dorsey, who described her as "the musician's singer." John Hammond once said of her, "I don't think she realizes how good she is." He was right; she led the way and the others followed on, most a long distance behind. None ever overtook her; if any in the future should try, we have Annette's records an infallible yardstick by which others can be measured." Liner notes "Annette Hanshaw Volume 3," by Brian Rust, noted music biographer and historian. Love always, Annette, "That's All." "I Don't Know Why I Love You Like I Do" Acc. 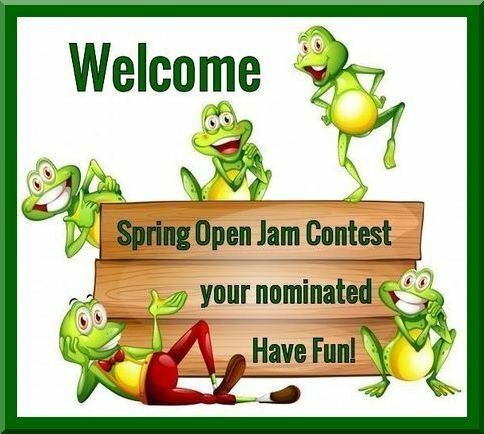 by Mannie Klein, t / Benny Goodman, cl / Irving Brodsky, p / Eddie Lang, g / Artie Bernstein, sb. New York, September 22, 1931. ANNETTE HANSHAW: acc. by Charlie Spivak, t / Tommy Dorsey, tb / ? Jimmy Dorsey, bar / vn / ? Rube Bloom, p / Tommy Fellini, g. New York, March 11, 1930. Annette Hanshaw, v acc. by Phil Napoleon, t / 2 as / ts / vn / p / Tony Colucci, g / ? Hank Stern, bb / Stan King, d. New York, May 9, 1929.